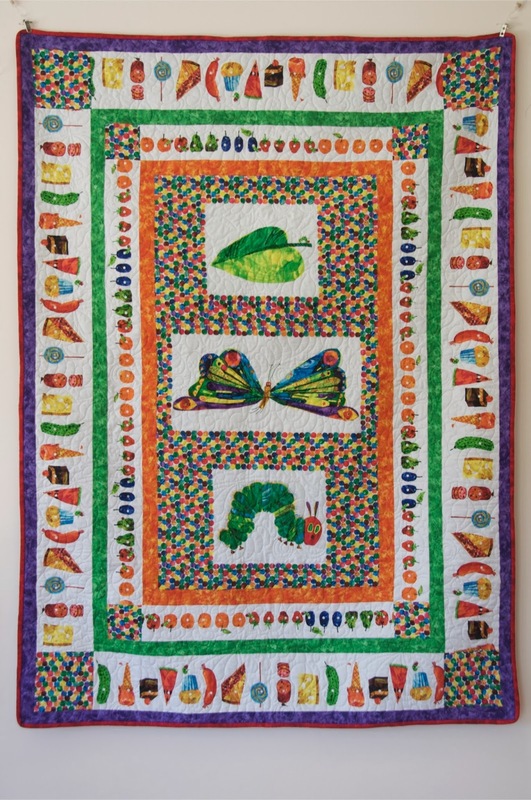 Back in September, I wrote a post about a Very Hungry Caterpillar quilt, which I made for an expected great-niece but which went to another little girl instead. 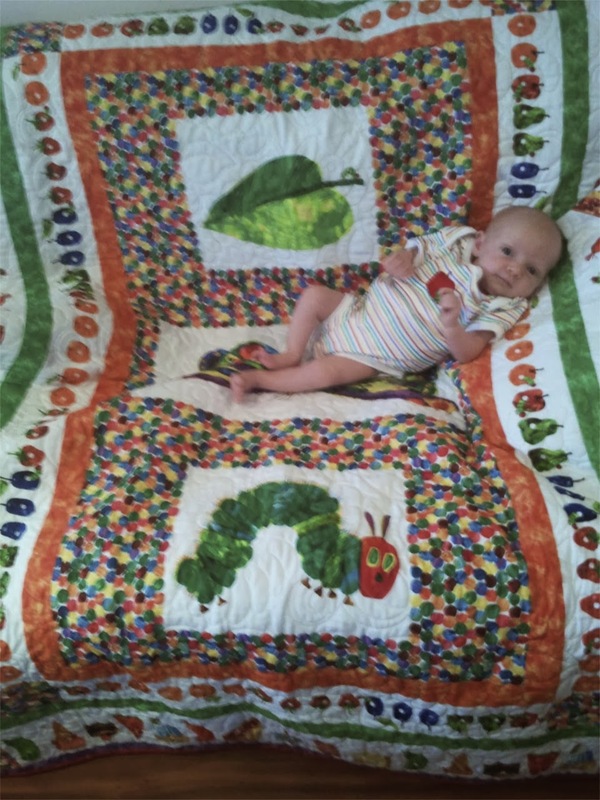 At the time I thought that a VHC quilt might not even fit in with the new baby's nursery decor but a photo my son posted on Facebook soon revealed that they really, really wanted a VHC quilt for their baby. And Darci is now the owner of her very own VHC quilt. She's even wearing a VHC onesie to complete the picture. How could you doubt that they would want one for Darci? She certainly looks as if it gets her seal of approval.